On our last blog post, Jonathan of MJ Yarns shared several ways to combine colors from our Master Color Series 2 Palette, Winter Begone! Today, we'll share some of our favorite tips for working with multiple colors of yarn within the context of any project. There's no need to make multiple swatches - unless you want to, of course! 2. Does it pass the B&W photo test? 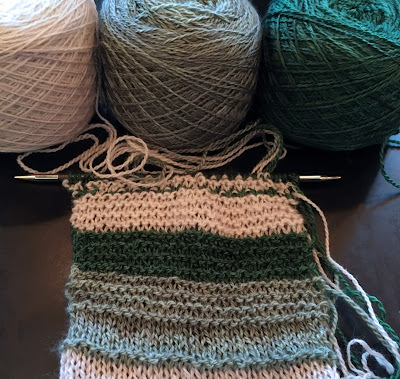 While we always recommend swatching before starting a project to ensure that you have the correct gauge, here is a shortcut to determining whether or not the colors you've chosen have enough contrast - without knitting a single stitch! First, arrange your skeins in the order they will be used & snap a photo (you can also wrap strands of yarn around a knitting needle or bobbin as we've done here, if you prefer). Next, convert it to Black & White (your phone or photo editing app may call this Grayscale). Some color combinations have less contrast once the hue is removed, which means that as the eye views the colors in the context of a finished project, they may become muted instead of contrasting crisply. In the example above, the blue and purple color are difficult to distinguish, but the addition of the yellow-green yarn between both the blue and purple color produces a crisp contrast. 3. Manage yarn for color dominance. Did you know that how you hold your yarns can affect how the colors appear in the finished project? 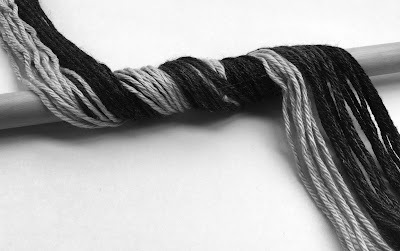 Ysolda Teague shared this case study demonstrating how holding a working strand of yarn either above or below the contrasting color (or colors) or yarn affected the overall appearance of each color in a Fair Isle project. This also holds true for stranded color work, as we saw in one of our favorite project kits, the Xanadu Snowflake Cowl by Julie Crawford. 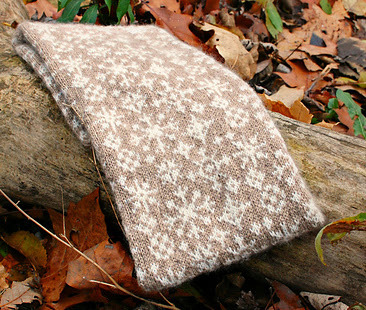 Here, the stranded snowflake motif "popped" by holding the Main Color (Mocha) over the Contrast Color (Natural White). We hope you find these tips helpful when approaching your next color work project. 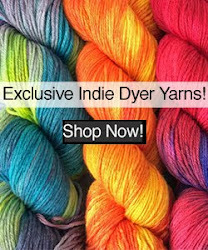 Please share your projects using our Master Color Series yarns (or any other Bijou Spun yarns!) 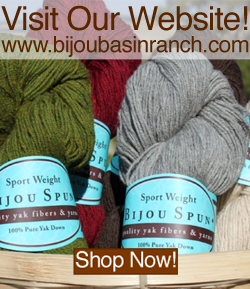 with us on Instagram using the #bijoubasinranch hashtag!